For those looking for homes out of the city, we’ve just got word of Rockland County’s highest priced single-family home since 2013, and the county’s second highest price for a single family home for the last ten years. The Hudson Riverfront estate at 641 North Broadway in Nyack has closed for $5.2M, surpassing the $5.1M sale of Rosie O’Donnell’s Nyack estate one year ago. The sale occurs as average and median single-family home prices hit new highs. One of the largest privately-owned properties on the west side of the Hudson, the park-like estate sits on 6.42 acres in what was a sandstone quarry in the 1800’s and has a written history back to the Revolutionary War. The 4,488-square-foot, five-bedroom, three-bathroom (one half bath) modern estate has 723 feet of Hudson River shoreline, a private boat dock, a sandy beach, and an in-ground pool. 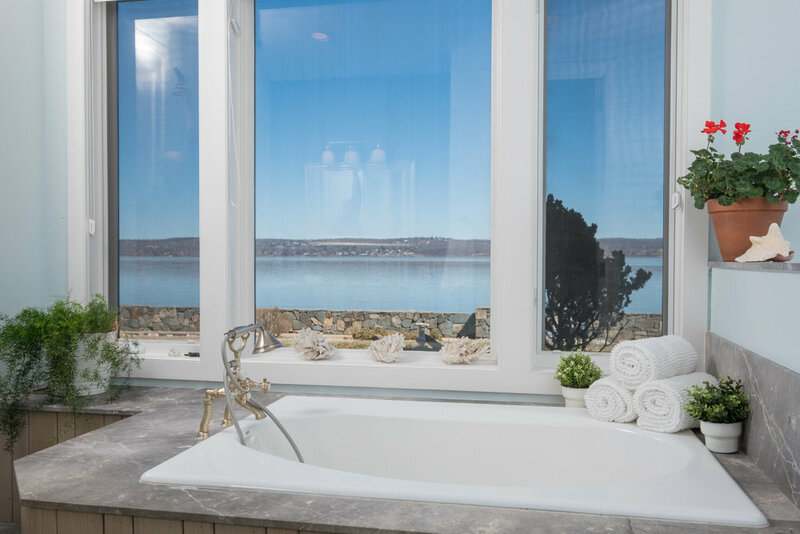 The luxurious home has 30-foot ceilings with walls of glass overlooking the Hudson River and Hook Mountain, antique barn beams, blue stone floors, and finishes of cedar and stone. 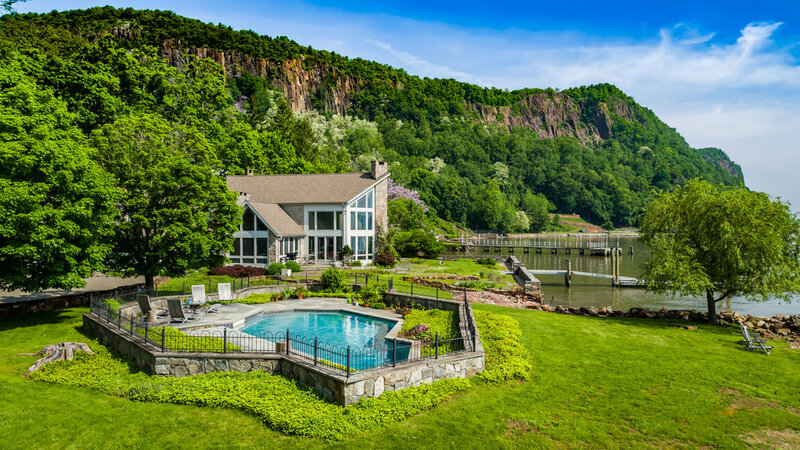 “Rockland County continues to offer an exceptional opportunity for buyers looking for space, amenities, natural beauty, and proximity to New York City,” stated Laura Weintraub, the property’s listing agent. Rockland County median sale price was $460,000 for 2018, up 4.5 percent from $440,000 in 2017, and up 10.8 percent from $415,000 in 2009. Nyack median sale price was $605,000 for 2018, up 17.5 percent from $515,000 in 2017, and up 34.4 percent from $450,000 in 2009. Other single-family Rockland County home sales over $5M include the 2013 $6.25M Georgian estate at 649 North Broadway in Nyack, built in 1900; the 2015 $5.05M 30-room castle at 1 Castle Road in Piermont, built in 1892; and the 2018 $5.1M Rosie O’Donnell renovated estate at 1 Gesner Avenue in Nyack, built in 1906. In 2005, 23 Ludlow Lane sold for $5.5M, and 235 Broadway (aka “Pretty Penny” also sold by O’Donnell) closed for $5.85M. The home was listed by Laura Weintraub of Weld Realty.